We’ve got a good one here, folks. With just five games left and eight losses on the board already, the Bombers don’t have much room for error if they’re to reach consecutive finals series for the first time since 2003-04. 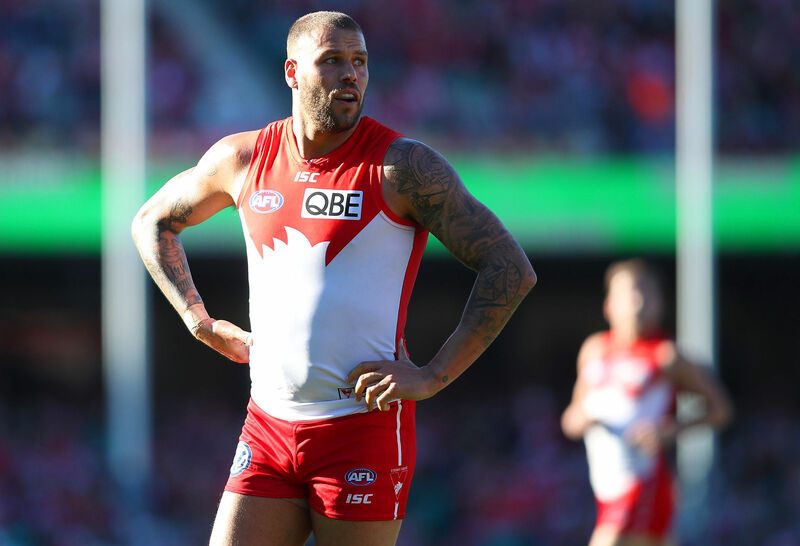 As for the Swans, their unconvincing season continues and their 2018 credibility took a hit with last week’s shock upset at home against the Suns – Gold Coast’s first win since April – in which Sydney managed just two goals after quarter time. It’s an extremely tough run home for the 11-6 Swans, with tonight’s clash with the Dons followed by games against Collingwood (home), Melbourne (away), GWS (A) and Hawthorn (H) to finish. It’s tough to see them missing the eight, but they need this one if they’re to secure the double-chance. Thankfully for John Longmire’s men, their form at Etihad Stadium has been a damn sight better than their form at the SCG this year. This will be their fifth trip to Docklands, with their previous four journeys netting them three wins – the one loss coming against the Tigers. At the SCG, the Swans have just four wins from nine matches. The Bombers head into tonight’s match favoured, their 9-8 record perhaps not truly indicative of a side that has won seven of its past nine matches. The Dons have done what they needed to do in the past fortnight with convincing wins against poor sides, now they face a sterner test. Both sides are strong at the stoppages, with the Bombers ranked second in the competition for clearance differential at +47 this season, behind only Collingwood – Sydney are seventh at +8. 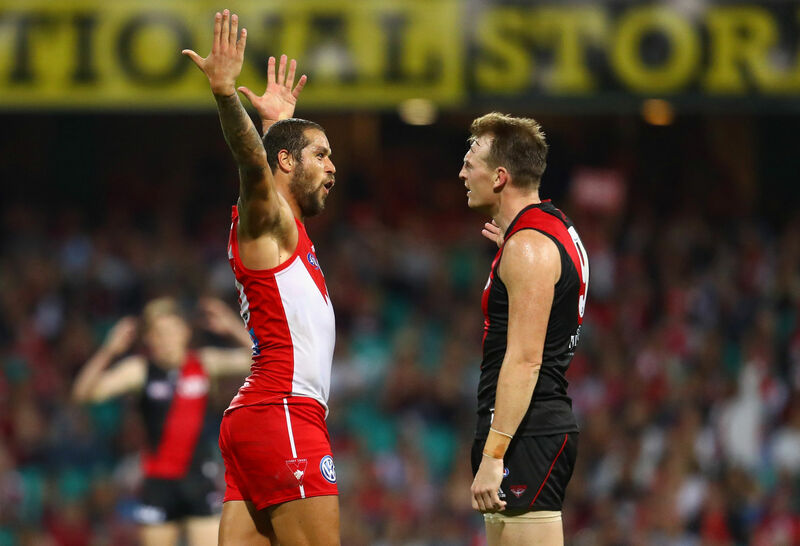 When it comes to converting those clearances into scores though, the Swans are slightly stronger, managing 33.7 points a game from stoppages (ranked second) compared with the Bombers’ 30.6 points a game (eighth). Defensively, they’re neck and neck, with Essendon conceding the fifth-fewest points from stoppages (26.5) and Sydney the sixth-fewest (26.9). The Bombers get a scoring boost tonight with the return of leading goal kicker Jake Stringer, who is also averaging a career-best 2.4 clearances a game. Stringer is one of the league’s most dangerous players at forward-50 stoppages, so the Swans will need to be on their guard. Aaron Francis also comes into the side for his first game of the season, and he too could provide a bit of x-factor for the Bombers – fingers crossed he can start to string a few games together. Dyson Heppell has been something of a barometer for his side this season. If you exclude the win against the Lions when he was knocked concussed early in the second term, the Essendon skipper is averaging almost 31 touches a game in wins, compared with bang on 25 in losses. Similarly, 2017 All-Australian Zach Merrett has bounced back from a slow start to the season to average 30 disposals, 6.8 tackles and 5.6 clearances over the past nine weeks. Devon Smith’s 145 tackles this season make him the season’s leading tackler by a long way – Dayne Zorko and Clayton Oliver are next best with 119 – so expect the former Giant to be in the thick of things. On the other side of the contest, it’ll be familiar faces driving the Swans. Wrecking balls Josh Kennedy and Luke Parker continue to do the heavy lifting at the coalface – Parker is one of just seven players currently averaging 20 disposals, ten contested possessions and a goal a game. Isaac Heeney might have surpassed both Kennedy and Parker as Sydney’s best player not named Lance Franklin. Heeney will spend plenty of time on the ball, but does his best work forward of centre where his outrageously clean hands and cat-like agility make him extremely dangerous – he lacks nothing in toughness either. George Hewett has taken his game to a new level this season as a run-with player and could be tasked with slowing Merrett, who struggled with a tag earlier in the year. Jake Lloyd will look to set things up out of the backline with his precision kicking, while Zak Jones, sometimes recklessly, tries to break the game open with his pace from defensive 50. Heath Grundy returns to the side to join Dane Rampe in one of the best one-two defensive combos around. Bombers Conor McKenna and Adam Saad will look to counter and better Jones’ running with their own dash, while Andrew McGrath plays a similar defensive set-up role to Lloyd, and like Lloyd he’ll spend some time in the midfield, which should be were the young gun’s future lies. Fingers crossed Michael Hurley and Lance Franklin are opposed to each other early and often. Hurley is an exceptional reader of the play and brilliant on the deck, but can be exposed one on one. Lucky for Hurley, one-on-one isn’t Buddy’s strength – nor is it a weakness – though that’s not stopped the 902-goal superstar from dining out on the Dons in the past. In 15 games against the Bombers, Franklin has booted 68 goals at an average of 4.5 a game, which is his best average against any team. More so than any player in the AFL, Buddy has the ability to change a game on his own. I don’t expect tonight to be one of those games. Essendon by two goals. Article link: Essendon vs Sydney: Friday Night Forecast. Written by Adrian Polykandrites, on The Roar – Your Sports Opinion.